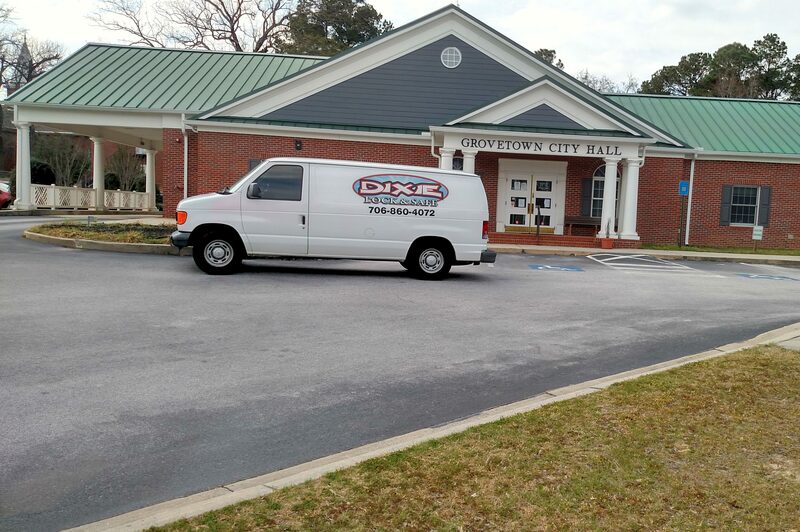 Serving all of Grovetown GA. Dixie Lock & Safe works here all the time. If you need an auto, residential or commercial locksmith with the right tools and experience , give us a call. Dixie will respond to Grovetown Georgia calls very quickly as many of our clients live & work here. 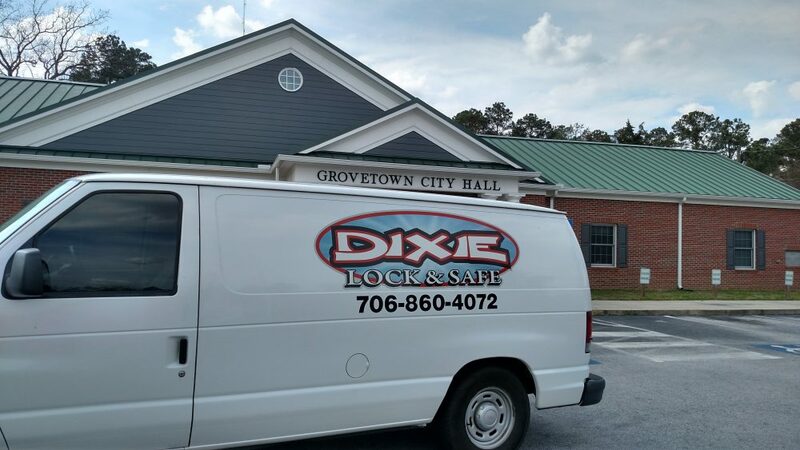 If you need any locksmith services in Grovetown GA Dixie Lock & Safe is the best choice for you. We have been open for nearly 40 years and have upheld a great reputation. Our locksmith services our vast and range from simple key duplication to much larger master key systems for both residential, institutional and commercial. Dixie does not stop at keys, we can open , repair or restore your safe, sell you a new one or take your old one away. High Security systems with restricted key ways are also a big seller here. If it uses a lock we can help you with it. Call Dixie Lock & Safe today!